I hope you have enjoyed meeting the Darling Diva's from High Hopes this month. For me it has been a challenge to choose a favourite because I like them all! I have one last cutie to share with you this month - tomorrow is a new month - Yikes!! My post for today features Ella and Chi Chi. I walk my dog twice a day and I love this time of year. My neighbours are all planting flowers and it makes me happy to walk around and see all of the different colours combinations people come up with. My dog Moe often has his nose in the air like Chi Chi smelling the fresh scents of Spring! 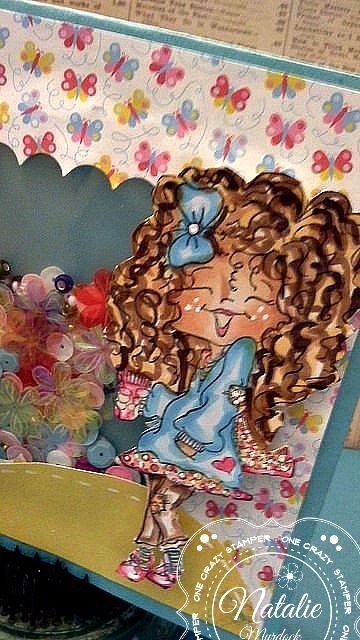 I decided to use some bright, fun paper from the Bo Bunny Believe collection - the colours remind me of Spring. I only used half of the Happy Thoughts sentiment - Ella sure does look happy doesn't she?! The image is coloured with alcohol markers and cut out using a stitched oval die. 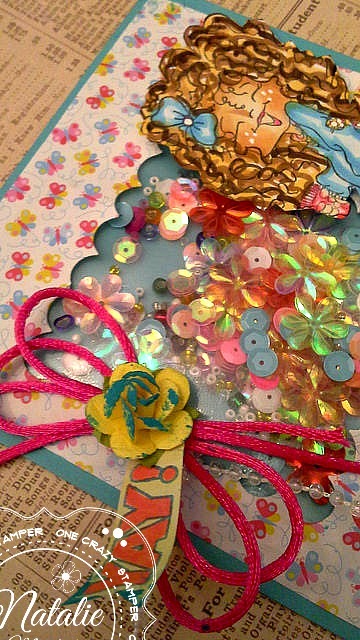 A few flowers with some Crystal Stickles in the middle for a bit of bling and a sparkly gumdrop finish off my card. I also added some bling to her earring and bracelet with some Silver Wink of Stella. Be sure to pop back tomorrow to see some inspiration from the design team and to see what our new challenge is! It is another crazy Tuesday, but also the last one for the month of May. 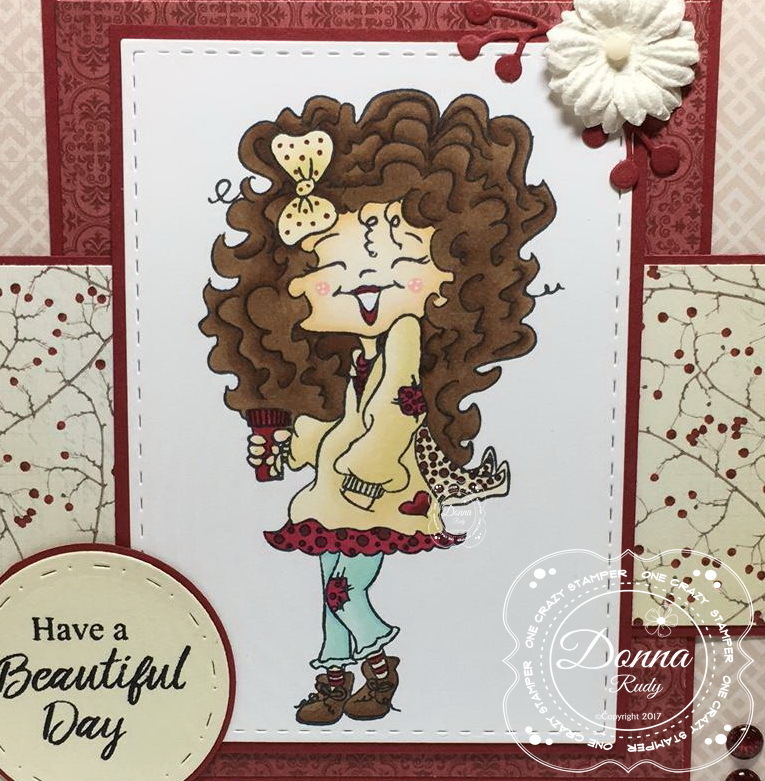 For my card today, I have used the adorable stamp called "Girlfriends" from this month "Darling Divas" Release from High Hopes Stamps. The sentiment was cut in half. 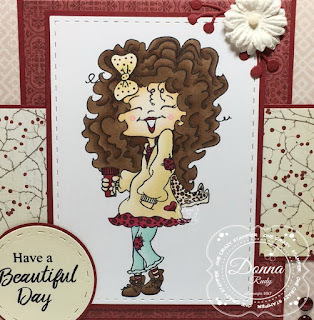 I hope you have enjoyed seeing this month's "Darling Divas" and the cards that the OCS Divas have created. Make sure you do come back Thursday, to see OCS' new challenge. For any supplies that you need or would like, check out Lora's OCS store -- online as well as the Brick & Mortar. Welcome back I have another card to share with you for the challenge here at, One Crazy Stamper. 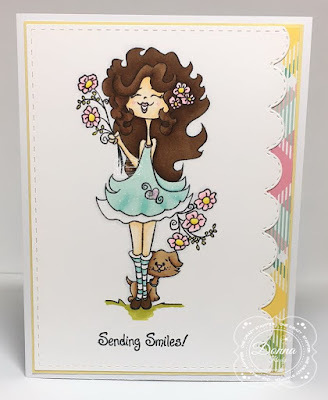 We have a new release from High Hopes Rubber Stamps to show you as well. Called Darling Divas! I couldn't be more excited to share with you our creations. As well as this fun sketch which is an option, but so fun to use. 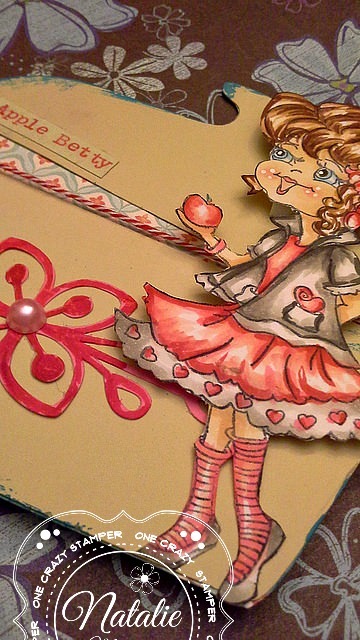 For your crafty supplies you need to stop at Lora's store, wonderful selections for sure. RV04, RV06, E04, E50, E53, E11, E31, E35, E74, W08. 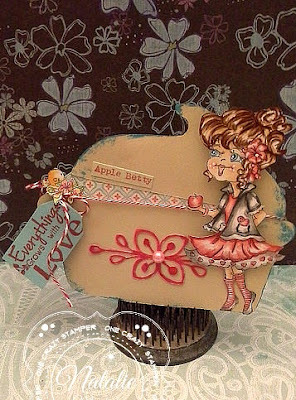 Apple Betty -- High Hopes Stamps! Apple from High Hopes found here! 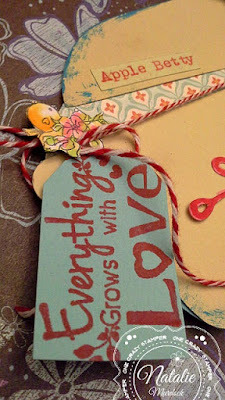 Everything Grows with Love found here! to the card for some extra details. we will be getting lots of apples this year! Thanks for peeking! Have a great Friday. Happy Thursday! Welcome back everyone - the challenge this month is "Anything Goes" and we have an optional sketch for you to use if you so wish! Hope you all enjoyed the extra day off work. Yesterday, being Victoria Day was a holiday thus extending the weekend. Even though the weather wasn't the greatest, this is the weekend that people will open their cottages for the summer. 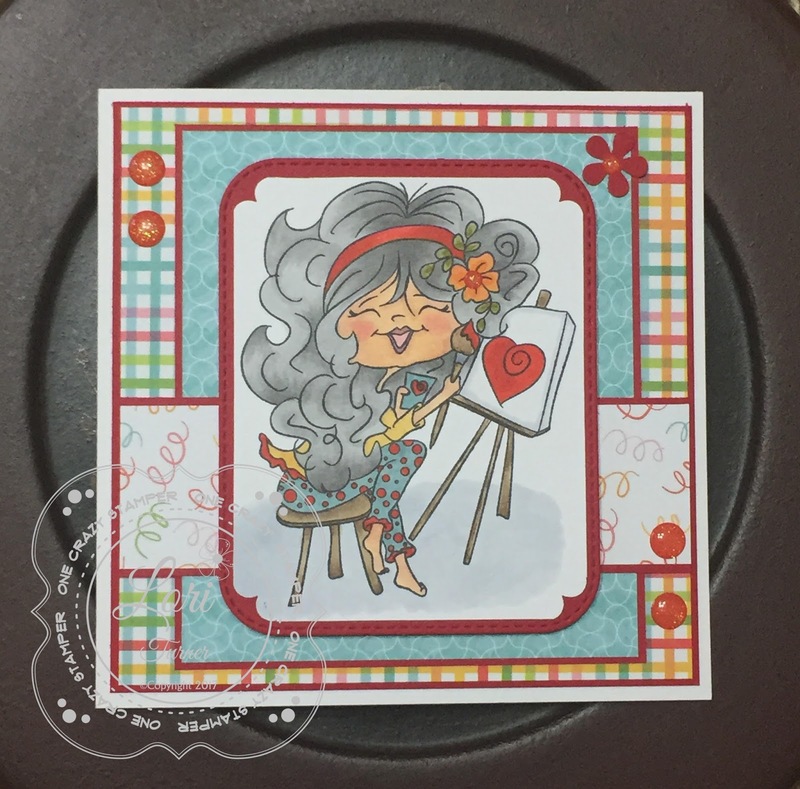 The OCS Divas are showcasing the latest release from High Hopes Stamps called "Darling Divas". For today's card, I used the adorable "AnnaLee". My initial plans for this card changed when I started colouring it up as the original paper choice did not match the colours that I used. Do join this month's "Anything Goes" challenge for a chance to win 2 unmounted High Hopes Stamps of your choice. If you need some inspiration we have a sketch that you can follow. If you need any supplies do check out Lora's OCS online store as well as the brick & mortar store. Lora, has some great products with amazing prices available. Until next time, happy crafty. 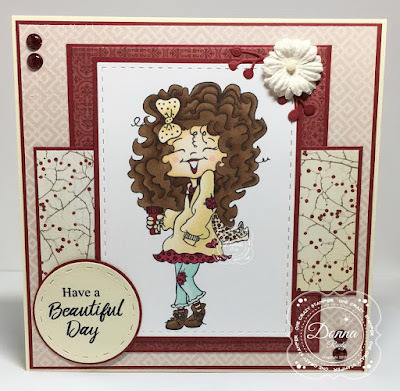 Welcome back we have another wonderful challenge for you here at, One Crazy Stamper challenge is happening and we couldn't be more excited to share with you our creations. 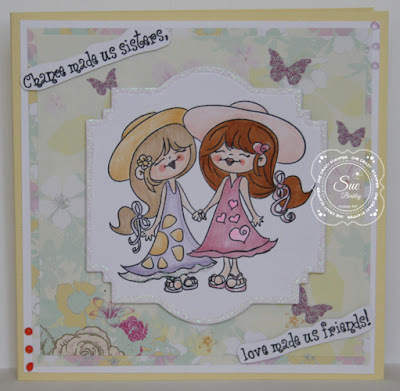 And High Hopes Rubber Stamps has another new release Darling Divas, such cute girls. We also have a fun sketch for our Anything Goes Challenge, it can be an option for the challenge. 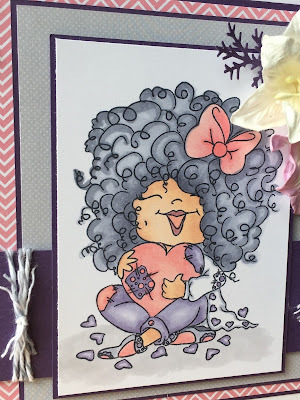 The cute stamp I am using today is called Ella and Chi Chi, super cute, and I added some flowers and the paper is Simple Stories. R20, R22, R24, R27, W5, C1, YG25, B99, B39, YR23, E000, E00, E01, Y00, Y11, Y21. 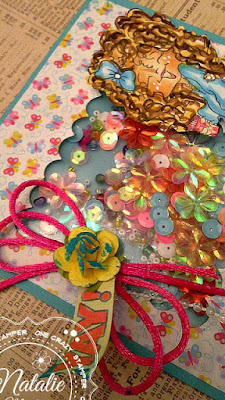 For all the details please stop by the blog and for your crafty supplies you need to stop at Lora's store, wonderful selection for sure. I'm back with another creation to share. High Hopes Ginger found here! High Hopes YAY! found here! pattern papers, and a bow too. 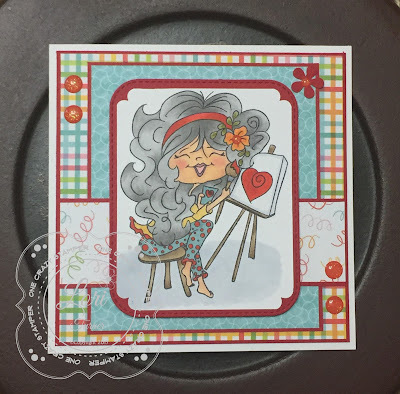 Are you enjoying this month's new release from High Hopes Stamps as much as I am? 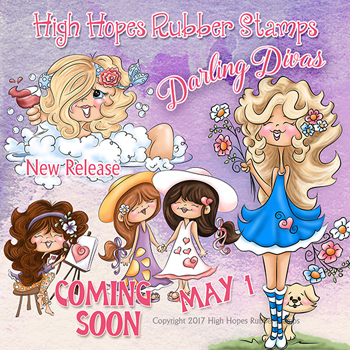 The whole release is called "Darling Divas" and let me just say - you seriously NEED these stamps! 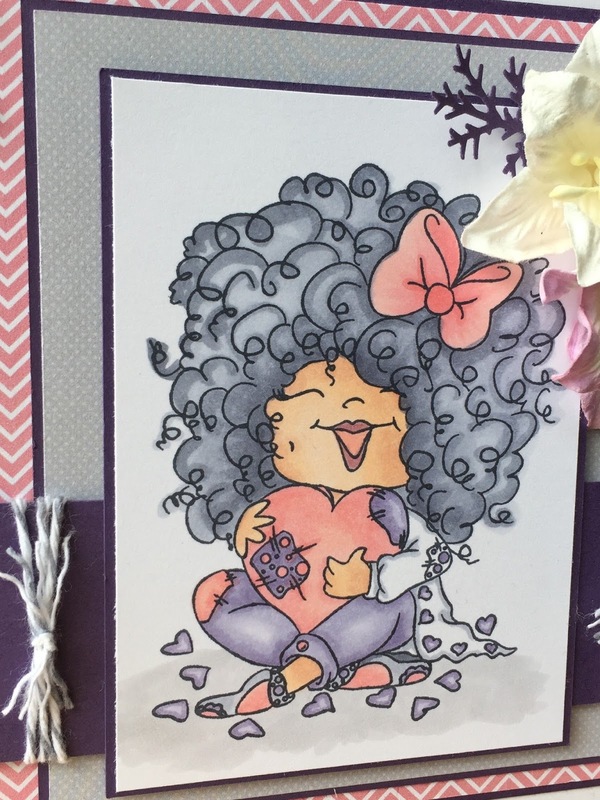 They are so fun to color up and bring to life! I can't help but smile when I look at them - they are so happy!! The challenge is Anything Goes and for my card today, I am featuring miss GiGi with her patched jeans, coat and heart :) She's so happy and cute - love all the flowing hair! 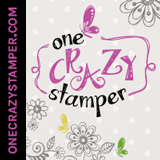 Thank you so much for stopping in today - be sure to hop on over to the One Crazy Stamper store and browse around and do some shopping! Cheers! 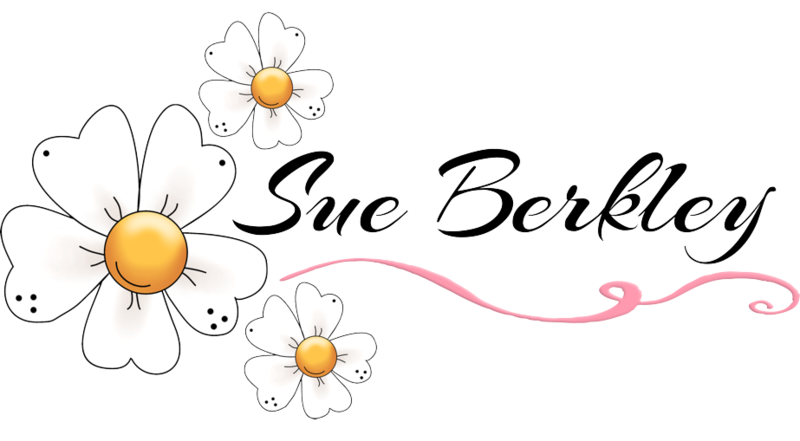 This week I decided to challenge myself just to shake things up a little in my crafty world. 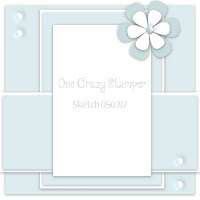 I have alot of patterned paper - yes it's an addiction - but I also have alot of little pieces -you know the ones that are trimmed off an edge of a sheet and you just can't bear to throw it out - gasp! 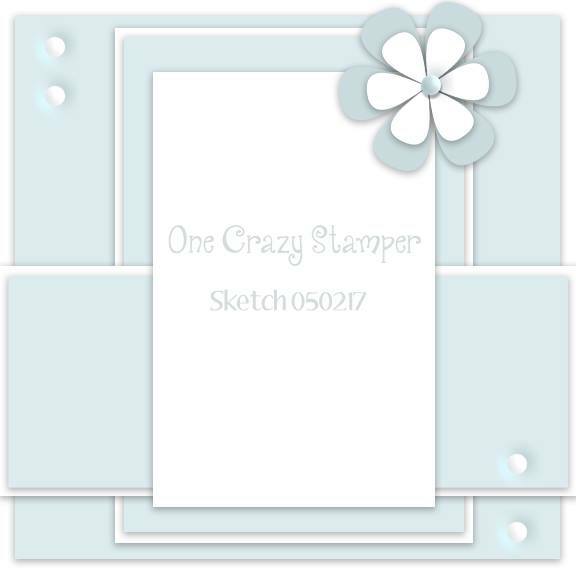 My challenge was to use some of these smaller pieces as well as create a CAS (clean and simple) card. Double whammy and challenge accepted! 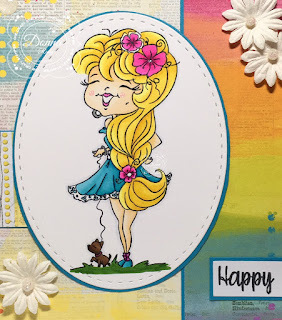 I decided that "Blossom" from the new Darling Diva's release at High Hopes would be perfect for my card. 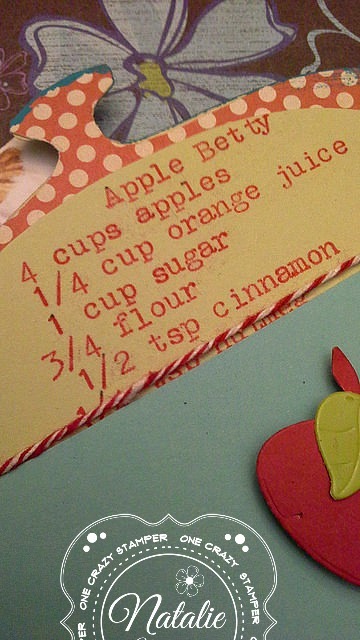 To start this card I cut out my white background using a stitched square die. The stitched scallop border edge was cut next using a die. 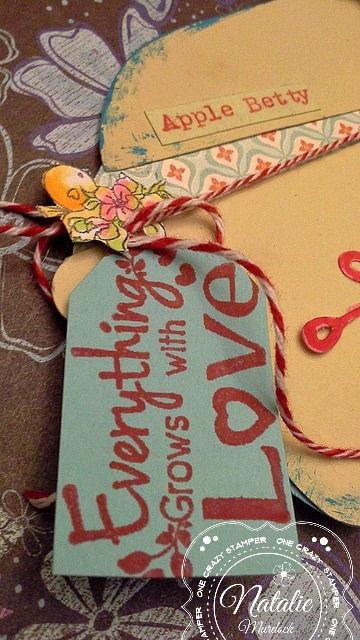 I used my Misti to place the stamp and sentiment in the perfect spot and inked away - LOVE my Misti! After colouring my stamp with alcohol markers I added the patterned paper edge. I used a brown marker to add some freckles to puppy's cheeks and some sparkly Stickles on the heart and dress collar give me a touch of bling. Welcome OCS fans to another crazy Tuesday. At last the sun is out and it is getting warmer, which is a nice change from all the rain that we have had lately. 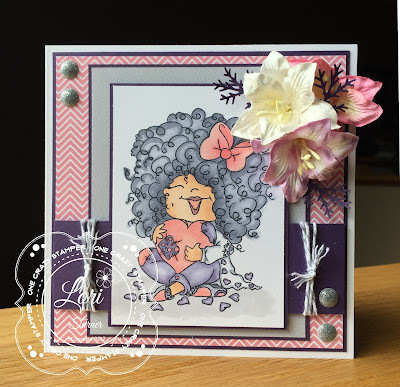 For today's card, I used the Darling Ella & Chi Chi from High Hopes Stamps latest release called "Darling Divas". I'm thinking I should have done something slightly different with the Ribbon Threading Die, but I'm not sure what. I shall play around with it again for next week. 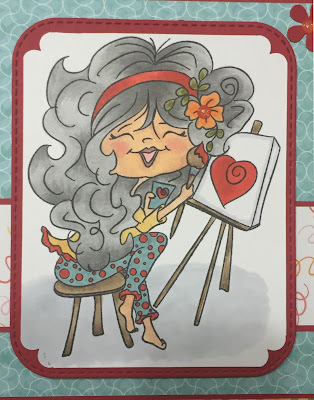 As we would love to see what you create, do enter this month's "Anything Goes" challenge for a chance to win 2 unmounted High Hopes Stamps of your choice. Welcome back we have another wonderful challenge for you here today, it is happening and we couldn't be more excited to share you our creations. 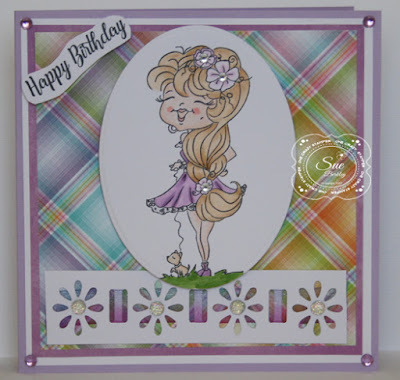 We have another wonderful new release from High Hopes Rubber Stamps-Darling Divas. Another fantastic challenge and sketch for you as well. It is an Anything Goes challenge with the option to use the sketch. My wonderful High Hopes Rubber Stamp is called, Girlfriends and so fun to color up and the pretty plaid paper to go with them from Lawn Fawn, added some flowers and Gumdrops as well. Again thanks for stopping and I look forward to seeing your creations here at One Crazy Stamper! For all your crafty supplies you need to stop at Lora's store, she has a wonderful selection for sure. 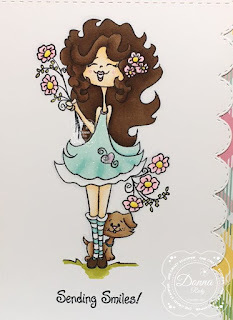 Supplies: High Hopes Rubber Stamps-Girlfriends, Copic Markers, C1, C2, W1, W3, W5, W7, B41, B91, RV02, RV10, N3, N5, N6, E51, E50, E17, E18, E19, E13, E11, E00, 0. 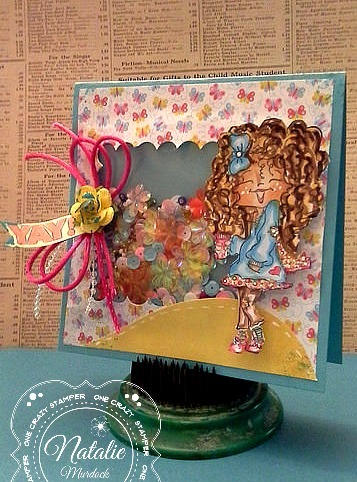 Xpressit Blending Cardstock, Lawn Fawn Paper, YNS-Gumdrops, Glue Dots. Ginger and her pretty bows!